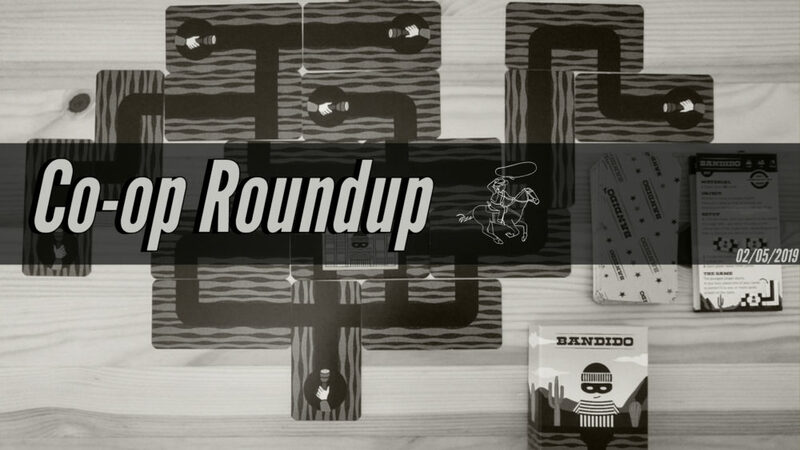 Below you’ll find some cooperative board game content from the last three or so weeks, including reviews, unboxings, podcasts, and playthroughs. Osprey Games announced that they will be releasing Embers of Memory: A Throne of Glass Game, a two-player cooperative game based on the final book in Sarah J. Maas’ bestselling series. United Soft Media released a digital version of Legends of Andor for iOS and Android. The Gaming Gang reviewed the deck building game Shadowrift. Pounds and Inches reviewed the cooperative kids game Sunny and Stormy Day. RogueWatson reviewed the dice rolling game One Deck Dungeon. marcowargamer reviewed the real-time cooperative game 5-Minute Marvel. Downtime Gaming reviewed the horror game Resident Evil 2: The Board Game. The Room and Board reviewed the party game Mountains of Madness. There Will Be Games reviewed the co-op card game Judge Dredd: The Cursed Earth. The Cardboard Herald reviewed the role playing game Legacy of Dragonholt. BGG user meeplegamers reviewed the puzzle game Holding On: The Troubled Life of Billy Kerr. I Heart Board Games played the survival board game Dead of Winter. Boardgames with Niramas played the mystery game Chronicles of Crime. Rob’s Tabletop World played the co-op card game Cards of Cthulhu. Eric Salzman unboxed his adventure game Mysterious Island. Seeds and Buttons unboxed the dexterity co-op Menara. The Players Aid unboxed the real-time war game UBOOT. Rolling Dice & Taking Names talked about Too Many Bones: Undertow, Kitchen Rush, and other games on one of their latest episodes. The Dice Tower talked about Comanauts and many other game on their latest podcast. If you know of any new cooperative board game reviews, news, unboxings, playthroughs, or anything else co-op board game related, don’t hesitate to contact us or comment below to let us know about it!